Why? Amber Guyger yet to be arrested after Botham Shem Jean shooting. 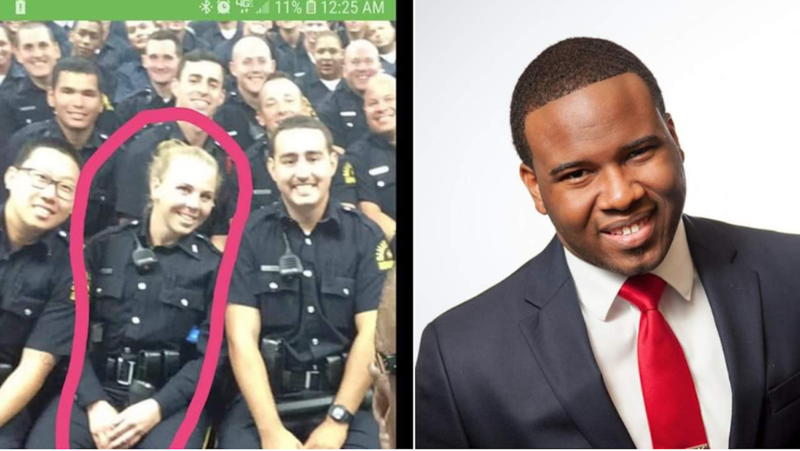 Botham Shem Jean shooting: Pictured suspected Dallas police officer, Amber Guyger thought to have shot Botham Shem Jean. Botham Shem Jean shooting: Pictured suspected Dallas police officer, Amber Guyger and her shooing victim. Dallas Police Officer Amber Guyger yet to be arrested after Botham Shem Jean shooting as questions of police deferential treatment and racism are asked. Lawyers for the family of slain St Lucia emigre have expressed reticence over the Dallas Police Department’s apparent reluctance to charge one of its officers after she ‘mistakenly’ entered the man’s apartment and killed him. Calls to arrest Officer Amber Guyger following Thursday night’s shooting death of Botham Shem Jean, 26 have intensified as investigators continue to hold off on obtaining an arrest on manslaughter charges. Responding to the handling of Guyger’s case, Dallas Police Chief Renee Hall said investigators needed more time to decipher what they have described as an unusual case of a shooting by an officer. The statement follows palpable unease among social media users who were first to identity the anonymous Dallas police officer– with Dallas Police eventually forced to publicly confirm the officer’s identity. Commentators on the platform had expressed aghast that despite Guyger herself calling police and admit shooting Jean, the officer at best had only been put on administrative leave. A result that has led to many questioning whether Guyger is receiving ‘deferential’ treatment given her status as a police officer along with speculation that somehow the shooting death meant less because the victim happened to be black. Botham Shem Jean shooting: Do Officer Amber Guyger’s claims add up? Jean, 26, a naturalized US citizen and accountant with elite accounting firm, PricewaterhouseCoopers was shot Thursday night in his unit in an apartment building near downtown Dallas. Police said Guyger, still in uniform after working a ’12 hour long’ shift, went inside Jean’s apartment believing it was hers. How Guyger confused the victim’s apartment- who was on another floor from hers- remained unknown. Also not immediately clear is how the officer was able to enter Jean’s apartment with her own key remained unknown. It wasn’t revealed whether Jeans’ door was unlocked when Guyger sought to gain entry circa 11pm, Thursday night. What happened next continued to remain a mystery, with police yet to publicly say what transpired, what interaction between Guyger and Jean resulted- only that Guyger fired her weapon. She called 911, with Jean dying at a hospital. At no point was a weapon ever found on Jean’s person or has there been a suggestion the victim using force on Guyger. As a judge in Mississippi, I sign arrest warrants all the time once I find probable cause that a crime has been committed. I just read where an arrest warrant was presented to a judge in Dallas who refused to sign it for the arrest of Amber Guyger for manslaughter of Botham Jean. Botham Shem Jean shooting: enough evidence to bring at least manslaughter charges forward. Responding to Dallas officials seeming reluctance to bring Guyger into custody, Dallas civil rights attorney Lee Meritt now representing Jeans’ family said that based on his conversations with officials, including Hall, there was enough evidence to arrest Guyger on suspicion of manslaughter. Merritt said he asked investigators with the Texas Ranger Division whether the postponement meant there was no probable cause to arrest Guyger. ‘They said, ‘Not necessarily,’ and that they just wanted more evidence,’ Merritt told the Washington Post. Jean’s death has renewed calls for policing reform and places the national spotlight back on a police department that, just two years ago, lost five of its officers in a shooting. A lone gunman who ‘said he wanted to kill white people, especially white officers,’ opened fire in July 2016 in the middle of what had otherwise been a peaceful protest over police shootings. And then there were these responses on social media that made this author wonder, see what you think? Dallas cop killer charged (at last) with manslaughter of Botham Jean. @DallasPD Why has the arrest warrant for OFFICER AMBER GUYGER, Badge #10702 not been issued? Why has she been given enough time to delete her social media accounts? Why were we told a warrant would be issued Friday? WE NEED ANSWERS NOW. We DEMAND JUSTICE FOR BOTHAM SHEM JEAN. Wow, you had a real opportunity to build trust with your community and treat this officer the way any other civilian would be treated, but you still had to try to cover it up. HE WAS IN HIS OWN HOUSE AND AMBER GUYGER MURDERED HIM FOR OPENING HIS OWN DOOR ?